Datalogic Automation presents a range of 2D imagers designed for transportation, logistics, distribution and retail applications. 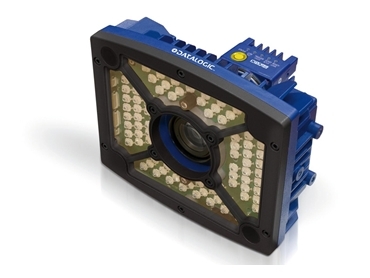 MATRIX 450 is a line of high-end industrial 2D readers featuring a 5MP image sensor that enables a range of applications never covered before by a 2D imager. Transportation and logistics applications include automated sorting and manual postal sorting, while distribution and retail applications include order fulfilment and verification, multimedia sorting and reverse logistics process. Suitable for both automated and manual material handling requirements, MATRIX 450 industrial 2D readers deliver an excellent acquisition rate at very high resolution, making them the perfect solution for high speed transportation on small and mid-size conveyors. Matrix 450 2D readers eliminate the need for multiple reading attempts with the large area coverage in a single shot permitting high throughput and maximum ease of use. Features such as continuous frame acquisition, no-flashing white illumination and coloured spot indicators make the MATRIX 450 an ideal solution for operator attended applications such as manual object presentation in overhead scanning mode or manual conveyor loading. The ID-NET reader’s clustering allows the reading area to be extended for single-side and multi-side applications. Captured images are stored on-board and transferred externally through the integrated Gigabit Ethernet connectivity.